SG-1 discovers Ancient technology that could turn the tide of the Ori war in Stargate: The Ark of Truth. 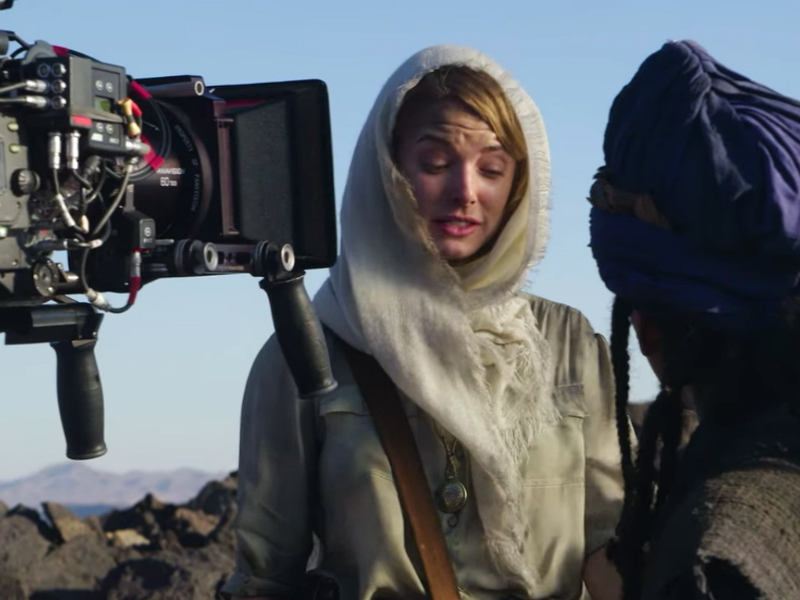 The unveiling of the 10-part digital series Stargate Origins opened the floodgates to a variety of speculation. Where is the franchise going? Are we going to see another long-form show? Why its own digital distribution platform? What are MGM’s long-term goals? 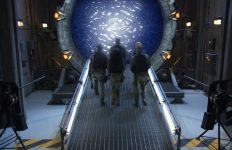 Now, with the success of both Origins and the studio’s new digital platform Stargate Command, MGM is undoubtedly looking ahead at what Stargate‘s future might hold. And given this exciting new chapter for the franchise, I want to pretend we have a front row seat on the action. So let’s put ourselves inside an MGM boardroom: A meeting has been called, all the executives are present, and a giant (empty) whiteboard hangs in front of us — ready to receive ideas. This is about possibilities, not limitations. So, let’s get started. The future of Stargate awaits! The Web series is a relatively low-risk investment that can enrich the mythology, characters, and greater world of Stargate. It can run as a companion piece to a new long-form series (think of the “Kino” webisodes from Stargate Universe). Or, as Origins did with its most recent Langford-centric iteration, it can function as a prequel that contains valuable insight into past characters and events. Either way, more Stargate Origins helps MGM flesh-out a richer and more intriguing cinematic universe. And with a Stargate-centric digital distribution platform like Stargate Command, the production and distribution of Origins is simplified. Less politics, no pesky cable networks, and a more immediate, quantifiable payoff. If you want to follow up Origins with something a little more explosive, a one-off feature film might be in the cards. Think Stargate: Continuum … but tailored exclusively for a digital release. A modestly budgeted, two-hour film (Continuum was made for around $7 million) could also serve as a backdoor pilot for a new long-form series. But most importantly it takes the next step in discovering Stargate’s current market potential (without having to rely on the outdated, broken DVD and Blu-ray market). The film could be released exclusively on Stargate Command, or it could utilize a variety of digital distribution outlets like iTunes, Amazon Video, or Netflix. There are plenty of options. This is another good avenue to explore if you want to do something more ambitious than a Web series, but not as grand as a long-form show that could run four or five seasons. 11.22.63 — the limited Hulu series from JJ Abrams and Stephen King — is a good example of a miniseries done right. It’s “episodic,” in the sense that the story is told in hour-long segments but when you put all eight episodes together it creates a complete, singular experience. The series is essentially an 8-hour movie. Each episode builds on the former, and story threads are able to weave in and out of the greater narrative without being rushed to fit a single running time. 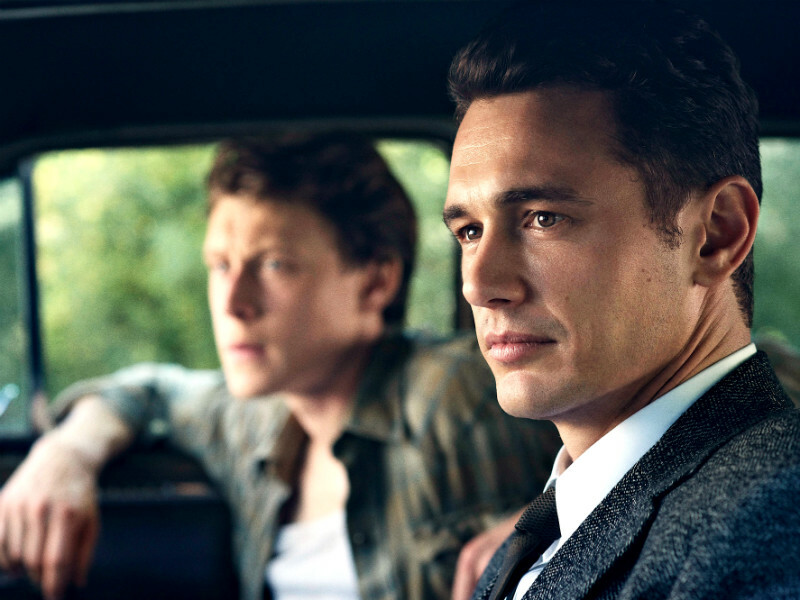 Should it be successful, a miniseries could also serve as the first season of a new TV show. It’s a clever way to embrace the progressive trends of television viewership and tell more intricate and intentional stories. Ah … the mere mention of this prospect lights a fire in the eyes of every Stargate fan. And there’s no denying it — by popular demand, it’s what fans want. 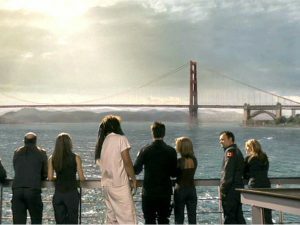 Fandom was already speculating what a fourth Stargate series would look like, even as Stargate Universe was winding down with its final episodes in 2011. Simply put, Stargate is too valuable to leave dormant or reduce to a disaster-movie franchise (like Roland Emmerich may likely have done). 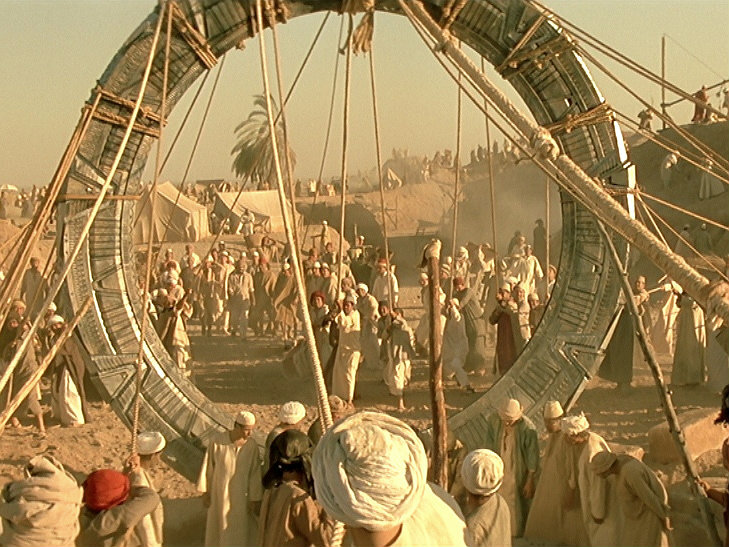 Long-form storytelling has always been a staple of the Stargate franchise. And given the tremendous staying power of the old shows it will likely remain that way. If MGM does greenlight a fourth series, the race will be on to find filmmakers who can balance dense mythology with compelling characters who live up to the legacy of O’Neill, Carter, Jackson, McKay, Vala, Rush, Eli, and Sheppard. There’s also the question of when the show will take place, and to what extent will it rely on past Stargate shows. Writer/producer Brad Wright recently argued that past entries were successful because they took place in the present day. On that note, perhaps Brad Wright is just the man for the job. After all, he knows Stargate better than anyone. Ultimately, it’s a very subjective decision — as it’s heavily dependent on what direction MGM wants to take Stargate. We just have to hope that MGM will allot the necessary resources to make a fourth series every bit as compelling as its predecessors. Last time Stargate got a proper theatrical budget was with the original movie, in 1994. Perhaps it’s time to unleash the franchise and watch it soar to new heights on the big screen. We are in the golden era of big-budget storytelling, including franchises such as Marvel, DC, Star Wars, Star Trek, Jurassic Park, Mission Impossible, Godzilla, Planet of the Apes, and The Hunger Games, to name a few. Studios are shelling out hundreds of millions of dollars for single films that can capture the passion and imagination of moviegoers around the world. Filmmaking and technology has grown in leaps and bounds since the 1990s, where Stargate made its debut (largely reliant on practical sets and in-camera effects). And while an over-reliance on technology often crushes character and charm, Stargate’s rich mythology lends itself to visual thrills that have yet to be explored. Wright and Cooper did a stellar job with SG-1, Atlantis, and Universe — making every penny of their budgets count. But at the end of the day these were cable television shows. They had a fraction of the resources poured into a tent-pole studio feature (on a dollar-per-minute scale). A blockbuster film would be the ultimate investment. And given the current entertainment landscape, it’s worth seriously considering. This is simply an expansion of the previous idea. But trilogy storytelling shares one key difference: the need for immense upfront planning — far more, at least, than what is required for a stand-alone adventure. 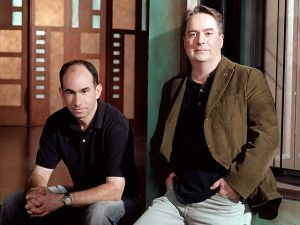 A trilogy would be the most substantial investment in the Stargate franchise yet, and something Devlin and Emmerich have been trying to accomplish since the original Stargate film. In fact, a Stargate trilogy nearly happened quite recently. This could have laid the groundwork for subsequent movies and even TV shows (creating a new Stargate canon). While these plans ultimately failed, should a new filmmaker come along with a compelling (and complete) vision for a Stargate trilogy MGM might be convinced to take the risk to bring the story back to the silver screen. But it would have to be a damn good pitch. Let’s just hope that any reboot of SG-1 doesn’t look like this! I might have skipped this, but Brad Wright did allude to this option in a recent AMA. Without reading too far into his comment, it’s definitely a possibility the studio might consider. Of course, the drawbacks of an ostensible hard reboot are clear: it would erase the TV-verse canon we’ve come to know and love. But here’s the thing: an SG-1 reboot doesn’t have to be a “hard” reboot. The show could be anchored in the existing timeline (present day), but with a brand new SG-1 team — comprised of all new faces. It’s only logical that original team members would have moved on to new command posts, and replacements would have to be assigned. 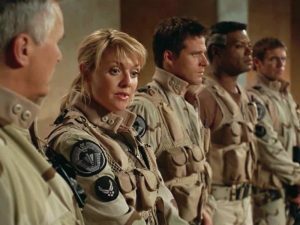 The reboot can exist within the world of Stargate Command — as established in previous series — while also blazing its own path on a tonal and creative level. Perhaps Landry, Mitchell, or Carter can appear in a recurring leadership role (or, at the very least, make a one-off appearance in the pilot). It’s worth considering. And if executed properly, it is one of the less risky propositions. OK, perhaps I’m biased, because I did spend the better part of a year running the Stargate Movies Campaign, fighting for these very movies to be green-lit. But personal preference aside, these films are still a smart investment. First off, the scripts have already been commissioned, so you can knock off about 5% of the total price tag (typically the screenwriters’ fee). 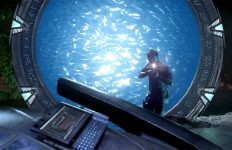 More importantly, it would give fans of Atlantis and SG-1 much-needed closure, and provide an opportunity to set up a fourth series that takes place in the modern day. Stargate: Revolution was long-rumored to disclose the Stargate program to the public. 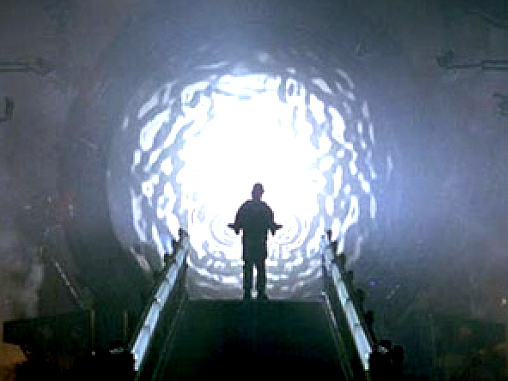 So Revolution could also pave the way for an in-canon SG-1 reboot that depicts a revitalized, public Stargate program. While seven years have passed since these movies were shelved the actors are still alive and working, and the scripts are still the property of MGM. So assuming the filmmakers can factor in a timeline adjustment, there’s no reason these movies couldn’t work. Plus, we have Stargate Command to distribute them on! This could go hand-in-hand with Stargate: Extinction and Revolution. In fact, a crossover movie — featuring cast members from all three previous Stargate shows — was supposed to act as a substitute for these cancelled, direct-to-DVD movies. Wright and his team had 17 seasons to tell the story of Stargate, across three shows and two networks — yet they were robbed of a final opportunity to give characters and story threads the conclusions they deserved. Without being melodramatic, I think it makes that legacy feel incomplete. Fans need to experience those “Chewie, we’re home” moments with the old cast … where Jack O’Neill and Samantha Carter walk into the situation room, or return to the S.G.C. to brief a new set of heroes. We need to see the old generation pass off a baton to their successors. And what better way to do that than to have one last Stargate adventure from the maestro himself, Brad Wright? Logistical challenges aside, this could really be a home run, and bridge the gap between Stargates past and future. Ultimately, none of the aforementioned pitches on our studio whiteboard are intended to come across as either/or choices. This is just a (partial) list of possibilities — and a list that will be expanded by minds far greater than my own. It’s up to the new executives, the filmmakers, and the united voice of fandom to revitalize the franchise and guide it into a new era. My hope is that MGM will continue to listen to the heartbeat of fandom, and take the time to understand why Stargate resonated with audiences in the first place. But one thing is for sure: We’re ready for more. So what’s your take on the options? Anything we missed? Anything you strongly support or object? Let us know in the comments section, the GateWorld forum, or on Twitter & Facebook. How big success was Origins? Do you know any numbers? The reaction from the fans is mixed, at best. Anyway, I like the idea of more Origins, especially if it runs parallel to a new series, but not this quality. It was fine for one, but if they continue it in any way, they must put much more money in it, and demand much higher quality from both the cast and the crew. More Stargate and continue SGU hopefully on Netflex. I would also like to know how big of a success was Origins really? I’d like to see Stargate Revolution, but I’m not sure MGM can afford Momoa anymore for a direct-to-streaming movie. Keep Stargate Command app for HD content and all things Stargate, which is nice by the way, BUT do not make new content locked in the app… including Origins. I don’t see it happening, but having a Stargate Cinematic Universe with full-length 20 episode series’ entwined would be amazing. Think MCU and Agents of S.H.I.E.L.D. We’re in a booming age for sci-fi, i really hope MGM takes advantage of that. Wouldn’t mind seeing BSG make a comeback also..
SG GRAND SLAM! Well, actually, it’s called “Stargate Forever” … It’s about getting Atlantis involved with the rescue of those aboard Destiny who actually want to return to earth. Visit the “notes” section of the Facebook page “Save Future Stargate Travel” to learn more. It’s time to get the band (or those who can do it) back together again! I think the producers will find that most everyone that was involved with any part of the TV cannon would jump at the chance to be a part of this once again. J.S. I wanna see Furlings attack and destroy the Earth. So basically, that’s it: A movie. A series that continues the overall story line of the previous 3. Just a thought the ancients seeded galaxies surely more than just 2 it might be what ancients do perhaps we could find a living society of ancients in the pilot and there enemy becomes our enemy or we could just finish off the wraith… as long as there is more about the ancients i don’t mind we just need a good enemy. no reboots there is no need and the story is unfinished lets finish it. Number 7/8 This was a story left incomplete. Where does Atlantis end up. Does humanity fully disclose? Elisabeth Weir Replicator group battles the Wraith/Gundl requests help from Star Gate command. They send Atlantis and Prior coalition, encounter new enemy Gundl that has taken over the Wraith and now endanger the universe. SG-U encounters advanced Alteans who built the pocket universe obelisk. They are also fighting the Gundl. Gundl were responible for the virus that almost wiped out the ancients/Alteans think ringworld engineer types. Star Gate Extinction or another 2+ seasons of Stargate Atlantis (with the original season 3-4 crew). Stargate Atlantis was by far my favorite. We need closure for Elizabeth Weir, Todd the Wraith, the crew getting back to Pegasus Galaxy. So many stories and so much for MGM to gain. The reluctance of MGM to sponsor a revival of the series is possibly because of the fine line between religious beliefs and the fictional series. To make it work they will have to put back some of the original movie concepts.